Seniors should periodically check the Guidance Page for scholarship information! Don't miss out on an opportunity you may qualify for to help with your college funding! CLICK HERE for all the information you will need for a successful SENIOR year! 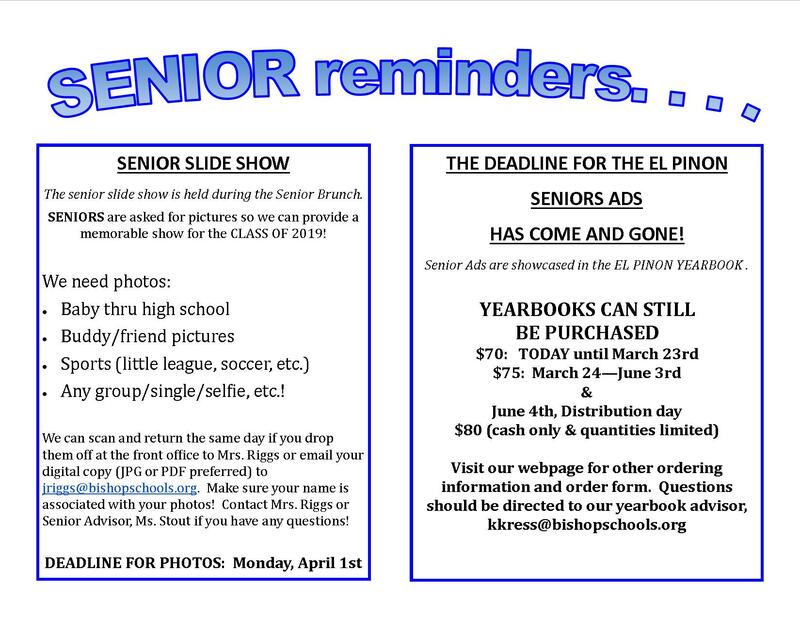 Any amendments to the handbook and other senior events will be announced via our daily bulletin! Jostens is our provider for your graduation products including announcements, gowns, tassels, memorabilia, etc. CLICK HERE to visit the Jostens site for more information on graduation products.